The annual Seoul Lantern Festival is held from Nov. 3 to Nov.19. Since its inception in 2009, it has hosted nearly 3 million visitors each year. 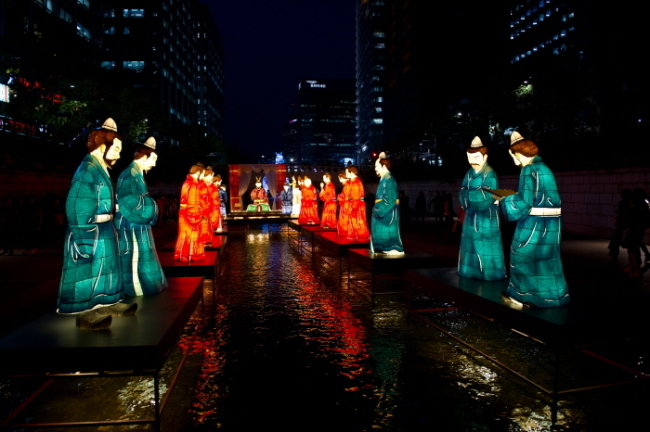 Visitors can see lanterns along the 1.2-km Cheonggyecheon Stream from Cheonggye Plaza to Supyogyo Bridge. The lanterns are lit from 5 p.m. to 11 p.m. and the event is free of charge. Visit www.seoullantern.visitseoul.net for more information in Korean, English, Japanese or Chinese or call the travel hotline at 1330 for information in Korean, English, Japanese or Chinese. 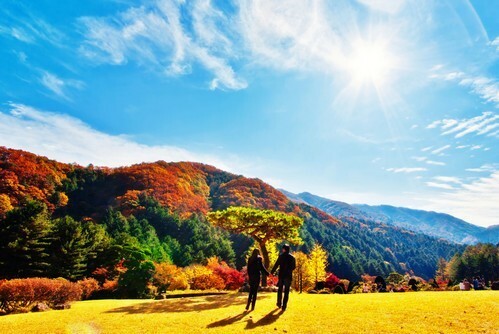 During the chrysanthemum festival, visitors will be able to enjoy the blazing fall foliage of the surrounding Chungnyeongsan Mountain as well as a myriad of fully bloomed chrysanthemums covering just about every corner of the 330,000-square-meter outdoor garden. Admission fees are 9,000 won adults, 6,500 won for middle and high school students, and 5,500 won for children. Group visitors of 30 or more people get 1,000 won discount. Children under the age of 3 can enter for free. ID is required. Visit its homepage (www.morningcalm.co.kr) for more information in Korean, English, Japanese or Chinese. 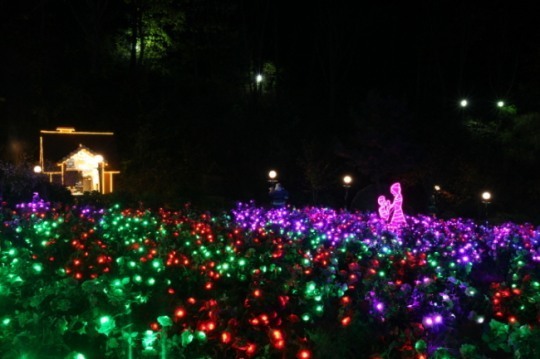 Herb Island -- located in Pocheon -- will be hosting the annual Lighting & Illumination Festival until Dec. 31. With its 300-meter wish tunnel, a lavender field lit up in various colors and more, Herb Island aims to get visitors in the holiday spirit. Inspired by European Christmas markets, the festival offers various events, including Christmas-themed soap, tree and candle-making, a Christmas cookie market, turkey barbecue, and other things. 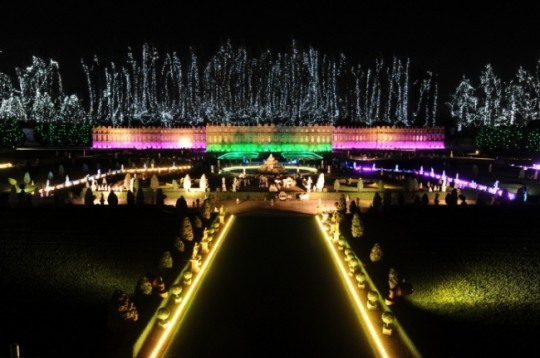 Admission to the Herb Island Lighting & Illumination Festival ranges from 4,000 won to 6,000 won. For more information, visit www.herbisland.co.kr. E-World Starlight Festival is held with 10 million lights in E-World and 83 Tower in Daegu. 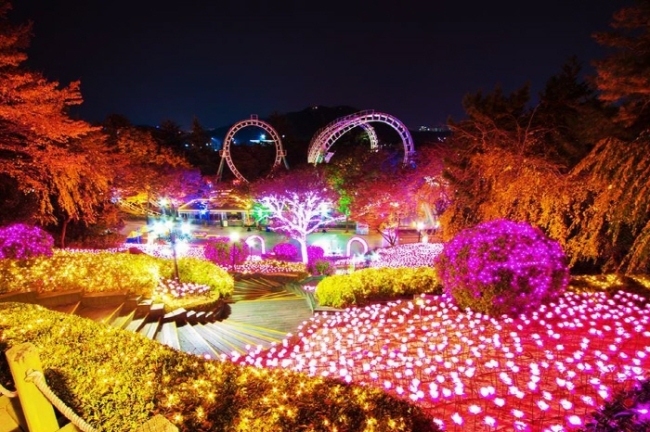 The events start at night and large trees are decorated along the 200-meter Light Road, as well as a Umbrella Road, Carnival Road, and photo zone created by 1,000 lights. The festival continues until Feb. 28.